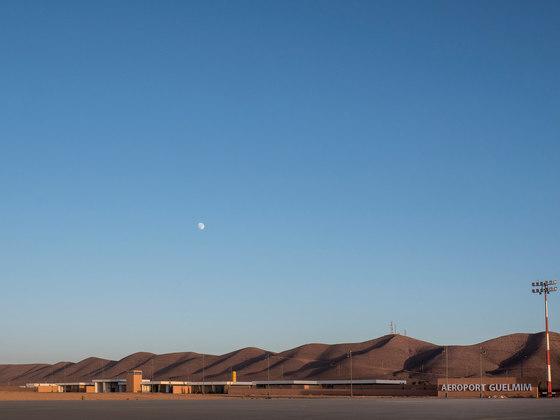 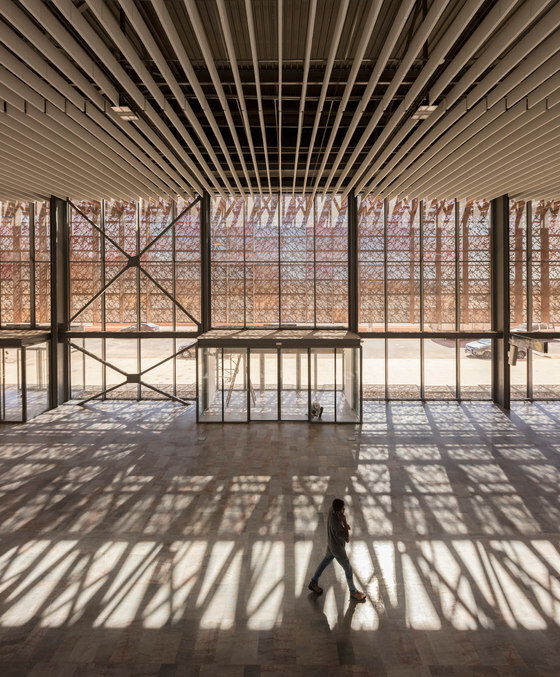 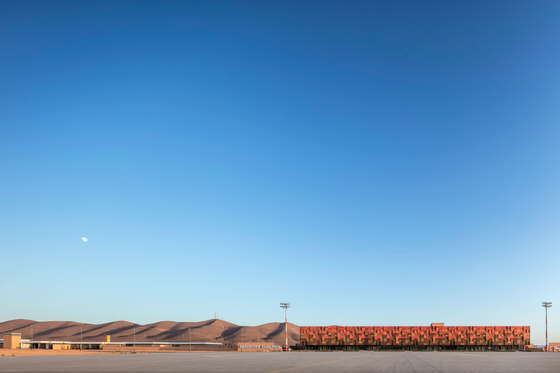 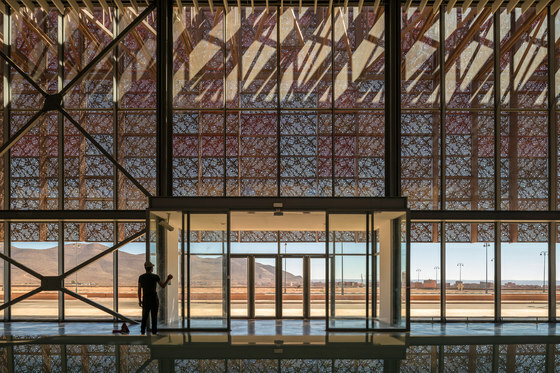 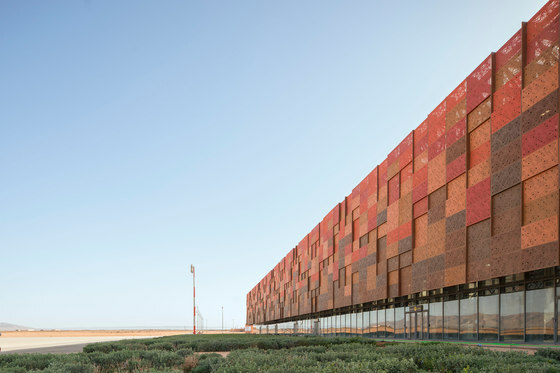 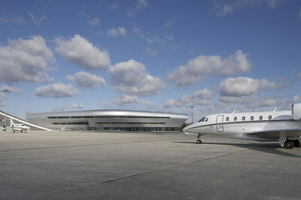 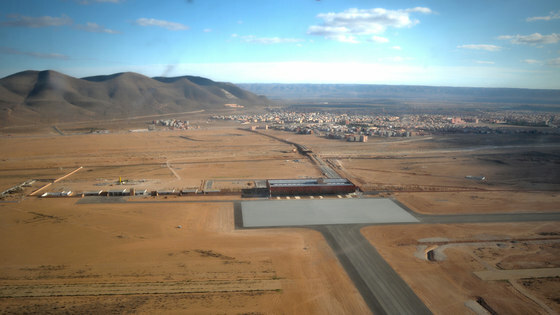 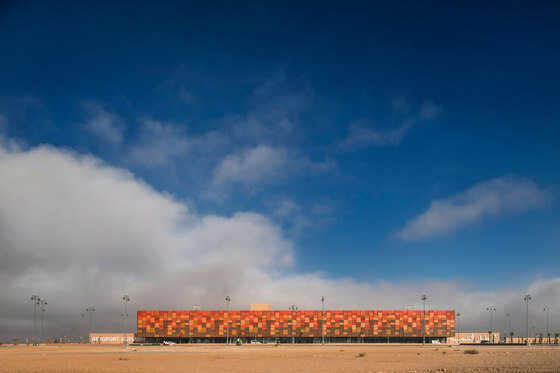 The new Guelmim airport is integrated in an existing military infrastructure located 3km north of the city. 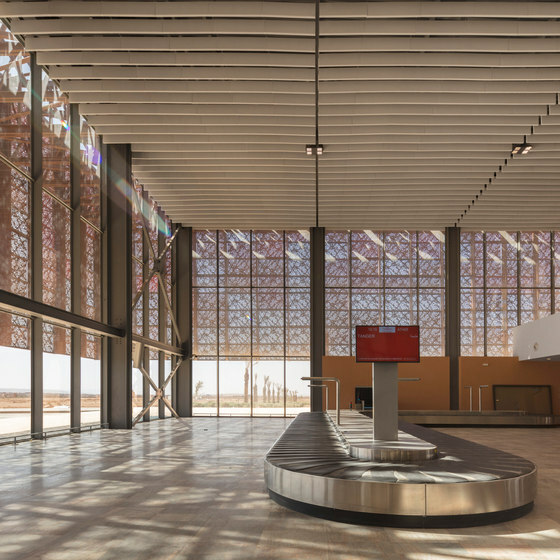 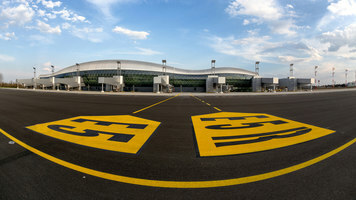 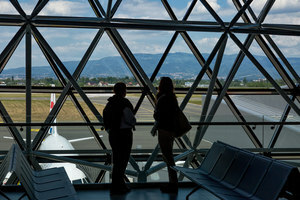 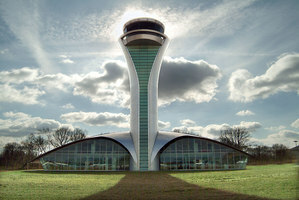 The stakes of the project were simplicity, efficiency, environmental control and extensibility, which is a prerequisite for the durability of an airport. 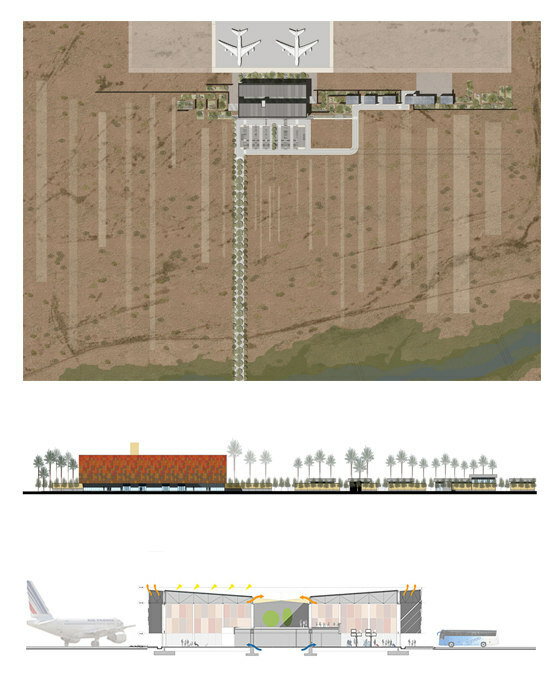 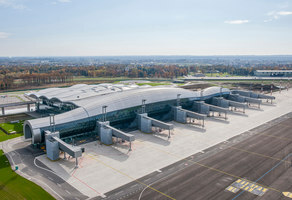 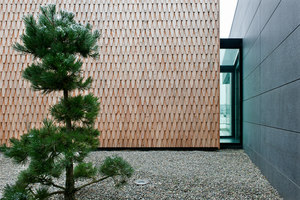 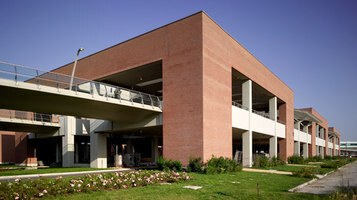 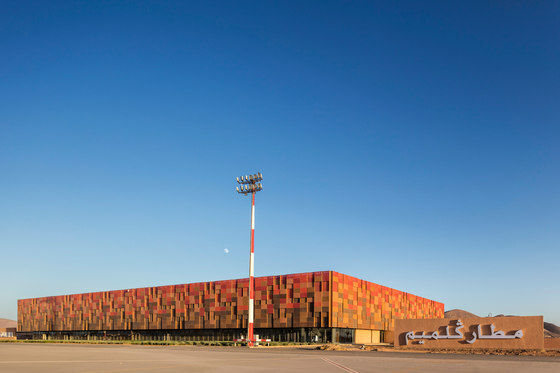 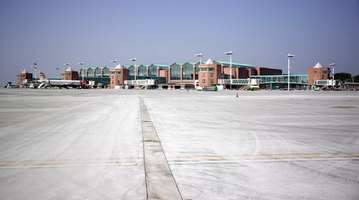 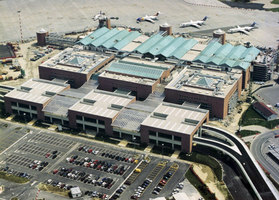 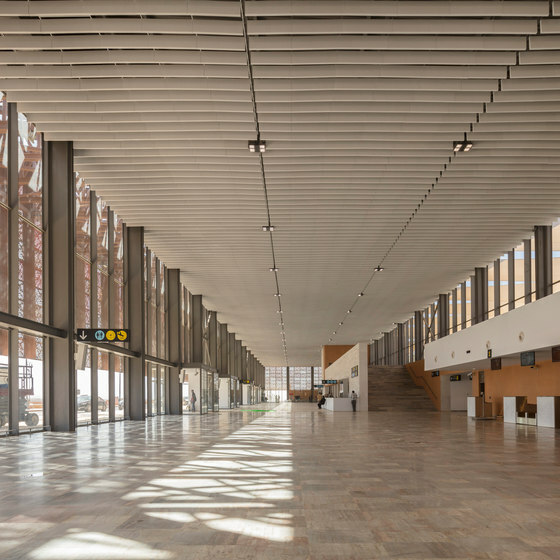 It is with this objective that the construction of the building was designed in 2 phases, resulting in a linear design parallel to the runways. 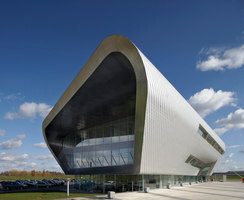 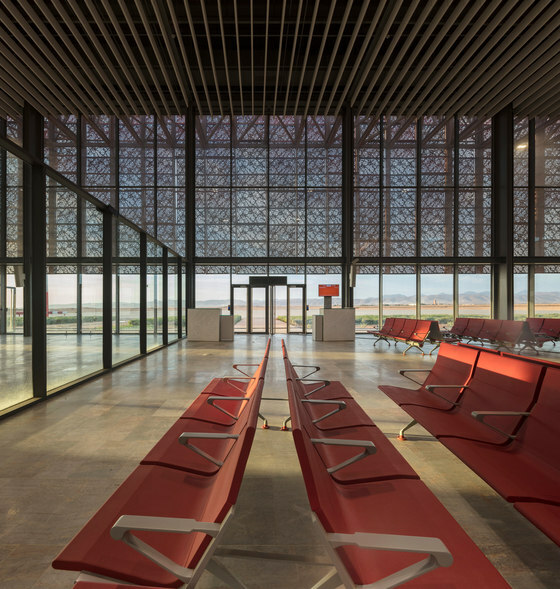 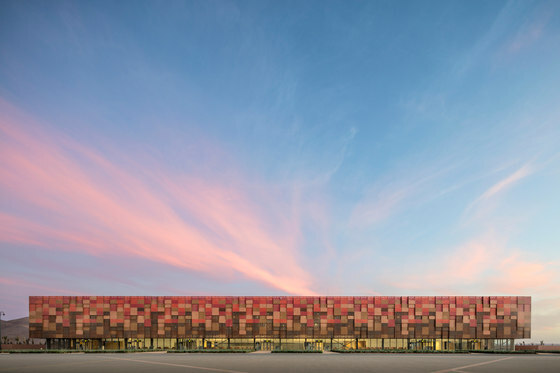 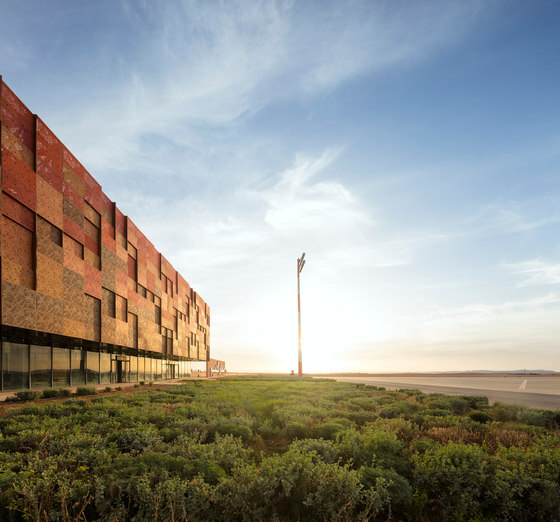 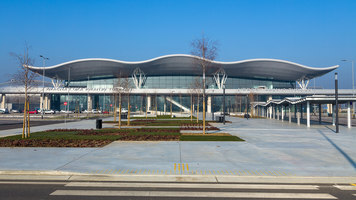 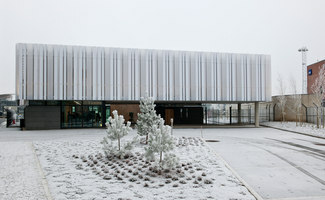 The terminal building consists of 2 double height halls, that hold the waiting areas which open onto the landscape on one side and on the runways on the other, protected by wide overhangs and a light-filtering façade. 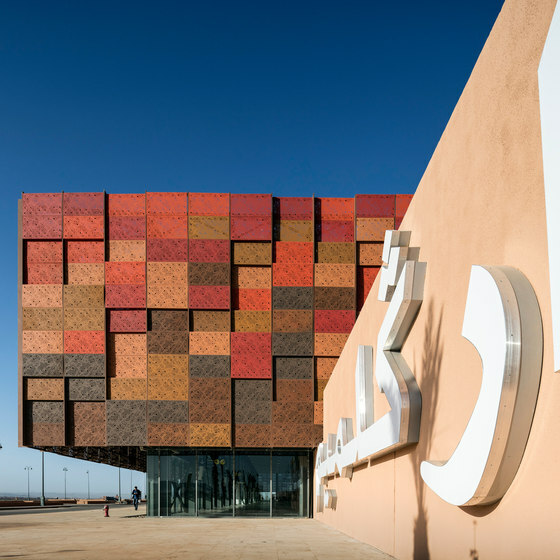 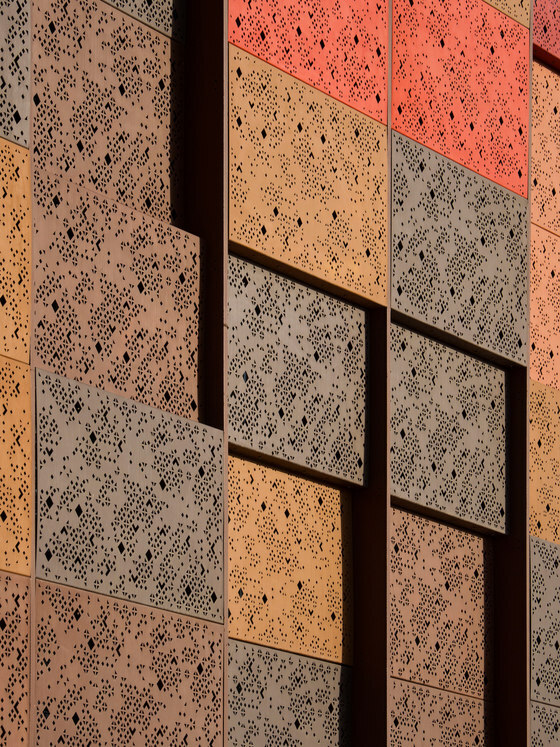 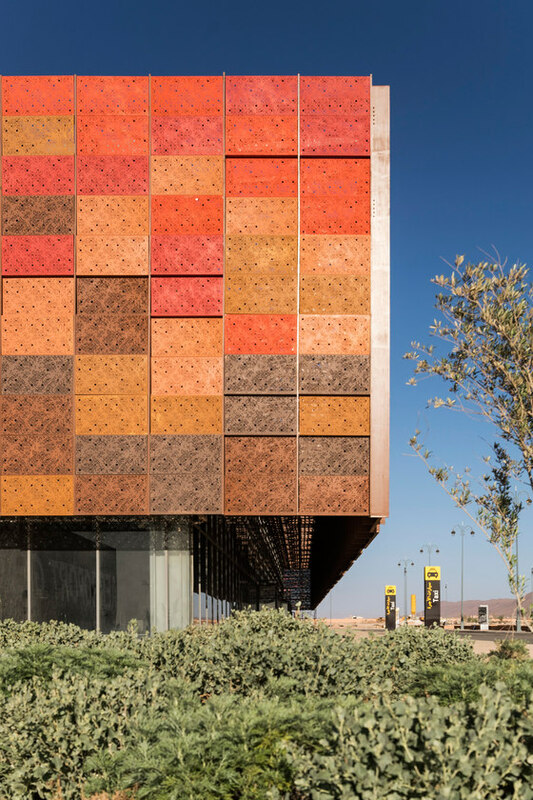 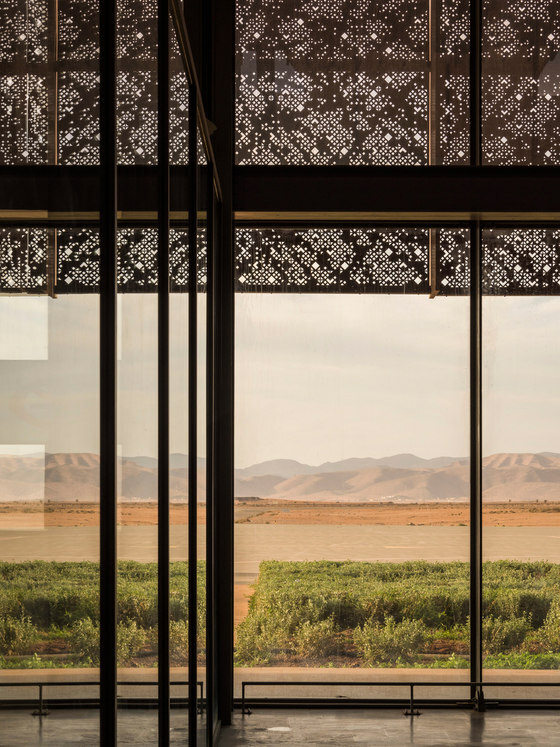 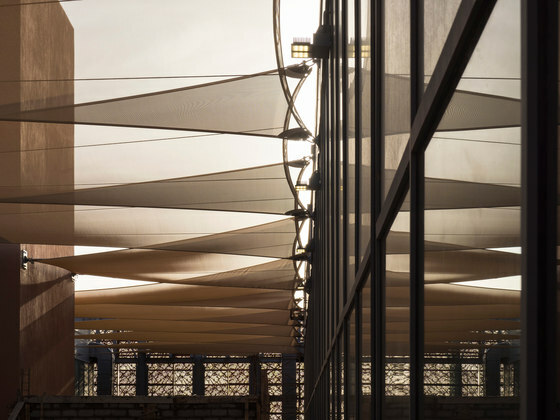 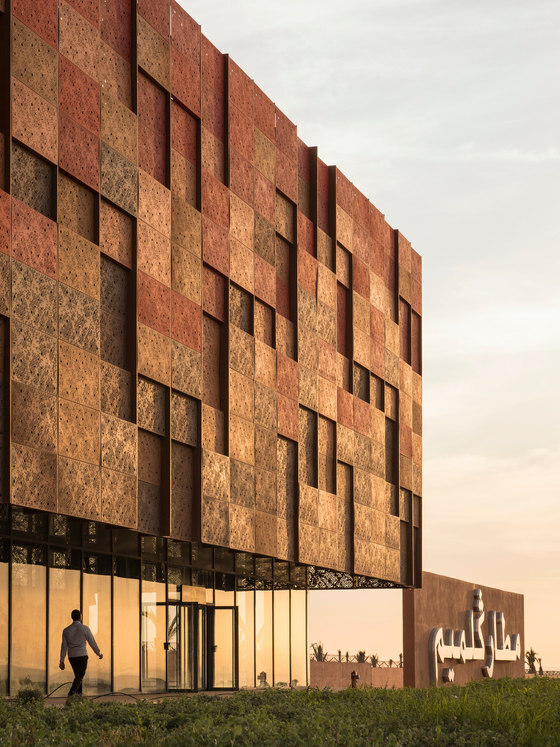 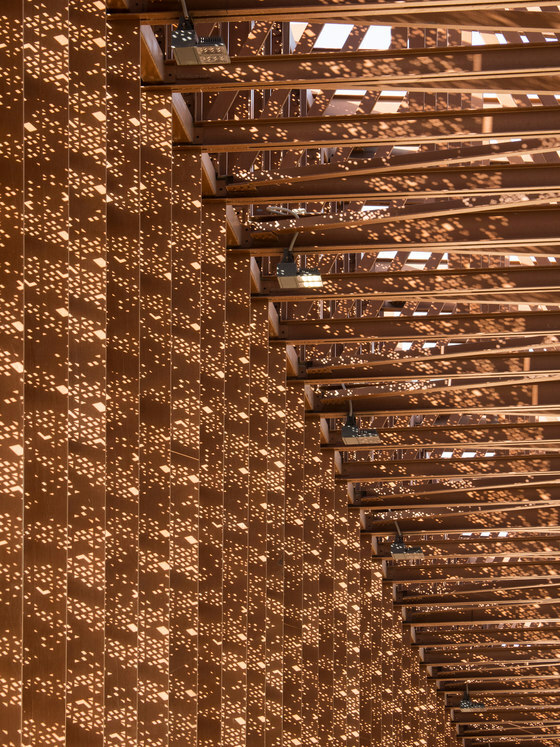 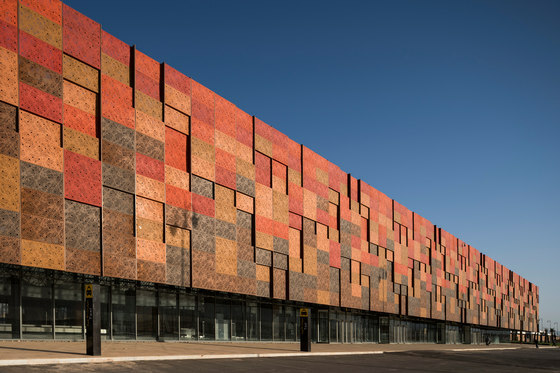 The low-emissivity metal filter is a patchwork of perforated panels that draw the shade and color the light, subtly evocating the decorative themes of the region. 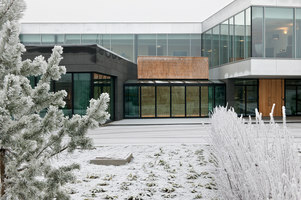 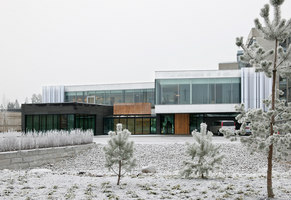 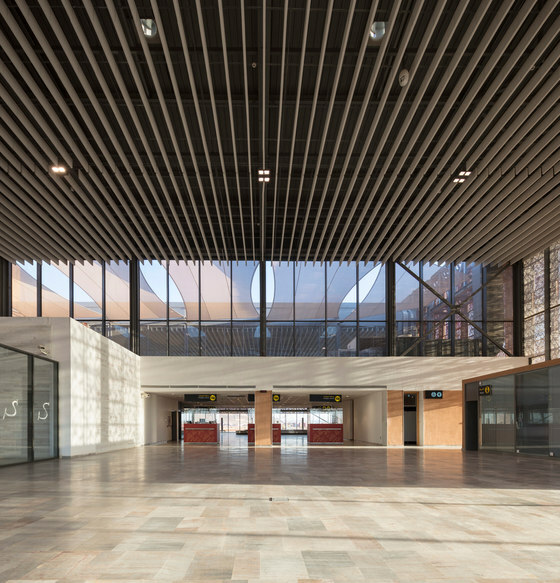 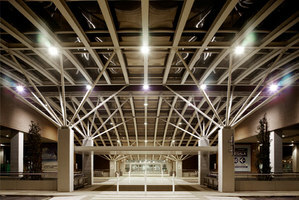 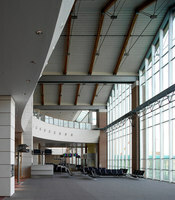 The linear main building located between the bonded zone and the duty free zone is topped with a patio that provides natural light to the heart of the building. 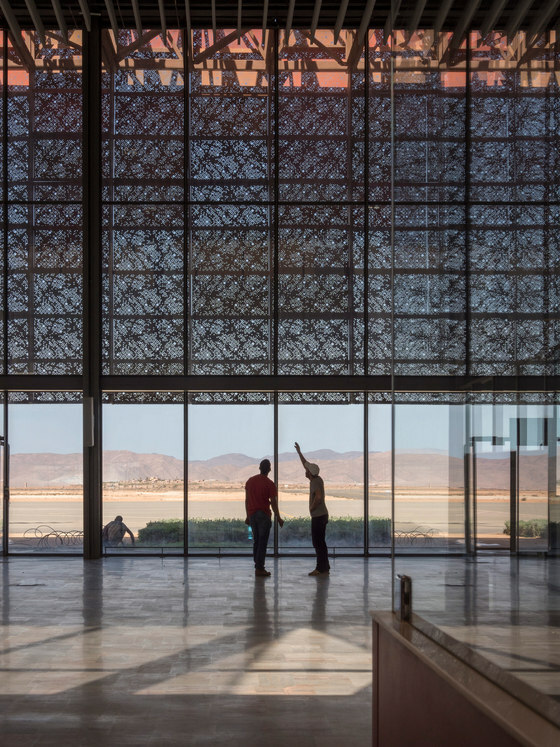 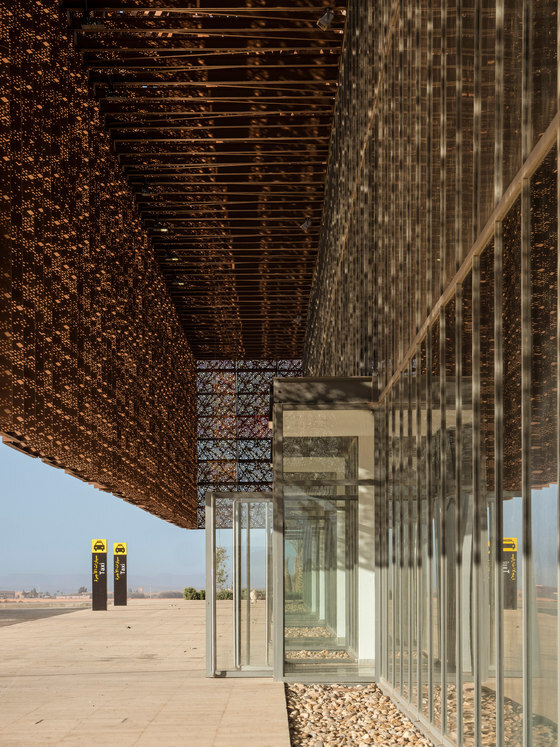 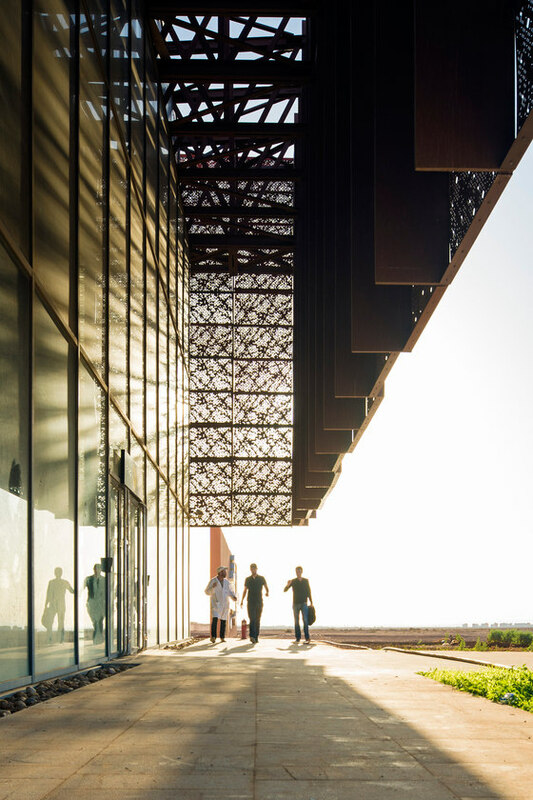 The main issue of the project was providing the maximum amount of natural light and ventilation to avoid expensive technical equipments, while optimizing the view of the surrounding landscape, which facilitates movement and flow of the building’s users.